Once upon a time, I wanted to be a tea scientist. I had two dozen teas, a thermometer, access to an electron microscope, a search engine at my finger tips and a lot of enthusiasm. I used to hang out in a tea shops in the Chinatown of San Francisco that carry tea that costs 1000$ a pound and ask them questions for research. In turn, they look at me with suspicion and follow me around in store to make sure I wasn’t trying to run away with a canister. I would pester my colleagues to get me some every time they travelled out of the country. I would ask favors from my Asian friends. “Can I come with you when you go buy your weekly groceries?” They knew what it meant : a translation job of the labels in the tea isle. It became a mild obsessed. As with any of my hobbies, life had other plans. I could hardly keep up with one research job. I was running out of cabinet space and grocery budget. Too many things to learn, 24hrs a day. I had to declutter this obsession. Where did that leave me ? Where am I now ? A gourmand is someone who is excessively fond of eating and drinking, and has therefore allowed himself to become enslaved by pleasure. A connoisseur, it is simply a person who “knows.” And believes that knowing about something can dramatically increase the pleasure we derive from it. Tea is my comfort food. And scent is one of my strongest sensory input. I associate lavender with long nights chained to my desk waiting for the results. This tea keeps me company. It is relaxing and de-stressing. Nights are calmer. Work gets done. Life goes on. Its caffeine free and pairs well with my other teas. It helps with my midnight cravings. It helps with making me feel less full after a big meal. Its nice to sip on something comforting after a dinner party that is not alcohol. I always serve it when I have people over. Its my trick to get them to stay longer and have deeper conversations …. tea can have that effect on people. Sitting outdoors, sipping on hot tea, smelling the flowers and talking into the night with my dear humans – what a joy ! There are things I can never buy for myself but would love to give as gifts to my loved ones : Candles. First hand clothing. And white tea. I got this to give as a present. When he realized how much I value it, a friend of mine returned his present. I accepted. This is my fav tea in the whole wide world. This is my afternoon slump help. I start to get hungry at 3-4pm and this tea prevents me from going to the nearest coffee shop to buy a sugary snack. The starch in the grain is a good filler. It has the earthiness of roasted grain and smells divine. Tea is meant to be enjoyed layered. You use the leaves multiple times till they fade into the background. I work with leaves, not tea bags because it gives me control of the favor. Individual one time use packaging is something I no longer welcome into my home. I fill my tea pot once an hour. It has the following advantages : 1) makes you get up and move from the desk 2) makes you drink more H2O. 3) fresh tea. 4) Used leaves –> compost once done. Morning : Start with white tea leaves. Mid morning : Add some florals to the existing leaves. Late afternoon: Add barley to the existing leaves. Evening – night : Start fresh with lavender. Lay off the caffeine. Add ginger, lemon and grated turmeric as needed. At the end of the day, pour some water into the teapot with all the leftover leaves. Stick it in the fridge. Next morning, pour the concoction into a spray bottle and use it as a face refresher at your desk. (Discard leftovers every day.) I don’t know if I can officially call it a toner but it is quite refreshing. Peng is a brilliant mathematician. He is a devout Buddhist who takes a month off every summer to go live in a monastery. The way he lived his life was very mindful. At work, he used to set an alarm that would go off every 50 minutes. The next 10 minutes of the hour would be spent walking around, stretching, greeting people, filling up his tea pot, replying to emails, texting back, …. Once the next 50 minute duration would begin, he cut out every distraction and would slip into his intense concentration mind frame. He won’t answer if you knock on his door. He was very productive and managed stress well. Perhaps this is one way to find that work life balance ? Perhaps this is how he prevented burn out after the long hours he worked ? He owned this very beautiful red tea pot that would sit on his desk. It once belonged to his great-grand-father and was well over a 100 years old. His ancestors were rich aristocrats who was driven out of their land during a feudal war. When they had to flee in the middle of the night during an attack, this was one of the possessions his great-grand-mother choose to take along. Talking about an heirloom pieces, this is the jewel he inherited. He uses it every single day, once ever 50 minutes. It is really well designed. It will last you a century if you take care of it. It’s made of cast iron and not breakable like the ceramic/clay/plastic/glass pots. It keeps its warmth till I finish my pot of tea. Its designed to add leaves in layers. Its gorgeous to look at. When its cold, you can warm your hands by holding your pot. At the end of its life, I can bury it in my backyard without it poisoning the soil. It’s heirloom material. One tea pot per person for a lifetime – the way things should be designed and loved. I have mine. This Parisian brand : Mariage Freres makes a very popular blend called Marco Polo. I need to get my hands on some to taste. My friend got back this Earl Grey lavender blend from London which blew my tea snobbish head off my body. I think blends are in general over priced. I look up the base notes and attempt to make my own. Lastly, I always want this white tea from China. Its the best I have ever tasted. Since going zero-waste, I found a few local loose tea shops that have great imports. 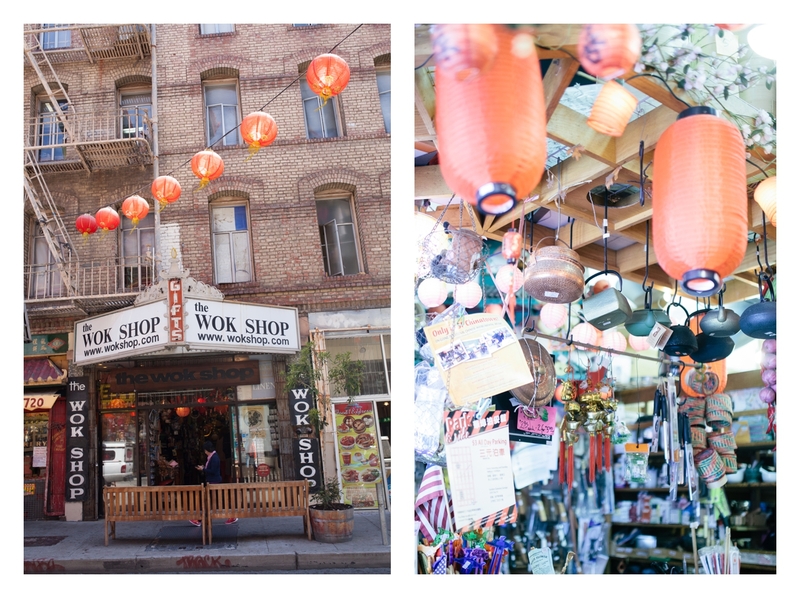 San Francisco’s China Town is the place to go to get lost in exploration. Red Blossom Tea Company and Vital Tea Leaf deserve honorary mentions. My local Sprouts and Whole Foods always have a few varieties in bulk. My 3 teas were “super-curated” from the local bulk bins I have access to. It has been an straight forward and simple love story when it comes to tea. what the time for a cup of tea means. to appea on the bitterly cold winter day. in the tea deeper with every sip. at first hot, turned warm, and then cold. ranged from poetry to dreams to reality. and a hero was enraptured and enchanted before the bed of a fair lady. But modern time has changed its speed. you drank up a cup of golden fragrant tea. going from far to near and then into nothingness. and asked if you would like one more cup of tea. ( Tea brings out the romantic in me. I always have a kettle boiling water on the stove when I am home. I have ideas on how it should be paired, a sincere admiration for the leaves, find immense comfort in the subtle fragrance of the tea, …. My work starts with me getting to my desk with a pot of tea in the morning. It’s a ritual and a way of life. There is a philosophical side to it too that I don’t think I have the depth to go into, at this point in time. A few good books that have re-read : The Book of Tea, The One Taste of Truth: Zen and the Art of Drinking Tea & Wabi-Sabi for Artists, Designers, Poets & Philosophers. Do you speak tea ? The biryani recipe vanishes from the world. All we are left with is a memory of it with no way to recreate it ever again. Spices disappear and we are left with bland food that taste like starch. Me not being able to afford white tea. Not having access to lemons. Not having my mother on the end of the telephone to catch me when I fall. She is my Dr.Kitchen. She knows why recipes fail and when I get the techniques wrong. Not having Harsha around to cook with. No more being a team. No more eating suppers together. Me becoming allergic to rice. Everyone around me chowing down on it while I watch but can’t eat. No more home made ghee. My family has been making it at home for centuries. Can memory be an ingredient ? Ghee is often seen as an ingredient that serves its purpose by making everything else it touches delicious. Like wine, the ones who have been making it over a lifetime know the secrets. It has a flavor profile based on the bovine breed and its lifestyle. I come from a lineage of farmers who toil the soil and own cattle. We make our own. The legend has it that my great-grand-father, an Ayurvedic practitioner, would pour half a tea cup of it, into each of his meals. My great-grand-ma would frown upon the grandkids who would treat the tea spoon of ghee per meal as a guilty pleasure. Then came us, the great-grand-kid generation, who were practically fat phobic. The eldest of us lot, is on a perennial diet and likely to punch you in the face if you don’t served her fat-free sugar-free gluten-free dairy-free food. The youngest spews out “you old people know nothing of science” before she explains her latest internet search. My great-grand-ma would counter argue : “One has to eat belly full and do a good day’s work, everyday. That is good life”. She employed guerrilla techniques and intimidation to pour ghee on to our plates. She is a fighter, that woman ! She lived till 101 and was fiercely loved. While I live in a different time and lead a very different lifestyle, ghee will continue to be at the heart of my plate. It symbolizes pleasure and an innocent happiness. I shall have that tea spoon full and enjoy it without any strings attached. Great-grand-ma not only taught us how to cook … she had to teach us the art of savoring the meal. He and me love food. We are always planning our meals and celebrating our cooking skills. Finding good ingredients is the most important part of our cooking pipeline. We wake up on Saturday morning and head to the market with our tote bags. We have a generic list – 2 fruit, 3 veggies, 2 raw veggies, 1 smoothie item, 2 greens and 2 herbs. The act of picking from the choices available is really exciting for me. Especially because I get more picks than him. He lets me do all the choosing. I enjoy this more than any other kind of shopping. 1. Which two fruits to pick for the week ? They still have some stone fruit and mangos. 2. Which green comes home with us ? They have 8 new ones that I have never tried. 3. They are selling chicken feet soup. He is making faces at the food truck in disgust. 4. Why are they so eager to give out plastic bags at the market ? 5. I want a picture with that farmer. She has such an interesting face. Will she let me ? 6. That Vietnamese lady is haggling on the price of the cauliflower. I dont have the guts to do the same. 7. Heirloom tomatoes are back ! I have plans to stir fry beet tops with garlic. 8. Follow the smell of coriander wafting through the air and load up on the herbs. 9. Look for the crooked carrots. The dirtier, the better. You can break it in half and see the rings on the inside. More the rings, more nutritious it is. 10. We go to a conventional grocery store for ginger, lemons, garlic, oil, condiments, rice, frozen berries, Indian vegetables, etc from time to time. Its not nearly as pleasurable as going to the outdoor farmers market. We are also working on perfecting our kitchen dance. You know… when two people don’t need words to communicate but are perfectly streamlining the tasks involved in cooking. I chop, he gets the mirepox started, I adjust the heat and add the first of ingredients. He goes over to grind the herbs with pine nuts. We take turns in washing the dishes when there are brief pauses near the stove. And so on …. the kitchen dance. Some days, we listen to instrumental music. Somedays, it’s groovy music. Today, we cook in silence. With the cat purring at our feet. How I love lazy and long Sundays in the kitchen ! We did not wander far. I found one right under my nose – in China town, San Francisco. This has to be my fourth visit to THE WOK SHOP. I always hang around and eves drop on the conversations. “…. no teflon … no no …. carbon steel ….. cast iron …. gas or electric stove …. if you want to bargain, please leave …. “. It is fascinating to learn from the elder Asians on what they look for in their wok via eves dropping. The seller tries to make a sale by comparing the quality to his woks to his grandfather’s wares in China. This visit was special since The husband came along. And he is one meticulous calculated person. He has been wanting a wok for a while now. He always complains about how hard it is to toss food in the cast iron skillet that we own. He walks into THE WOK STORE, falls in love with a wok, walks out with one in the next 20 minutes. No obsessive internet research, chats with best friend over seas, reading online reviews, …. We trusted the shop keeper when he offered to help. And we did learn a lot in the 20 minutes. 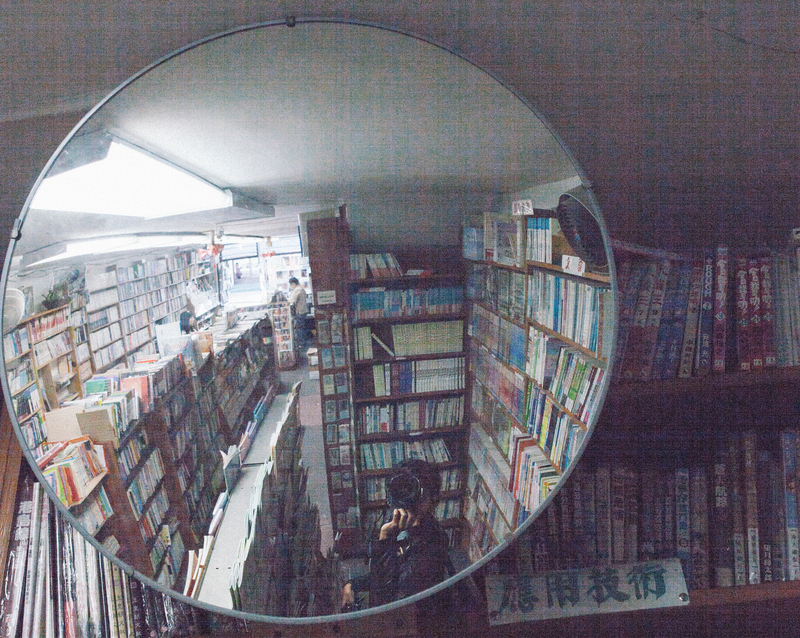 China town is one fascinating place. Some days, it feels authentic and foreign. On somedays, it feels like a theme park for white people. My first visit had me transfixed on all the details. The more I visit, the more it feels fake / put together. Its too touristy with the lanterns and souvenir shops. But the pleasures of what it has to offer is not lost on me. The lanterns do look beautiful. And the cast iron pots make me drool. All the bamboo cutlery is echo friendly enough sans the plastic wrapping. The antiques smell and look rustic. The food – fantastic. The people – busy. The plastic souvenirs – cheap enough. Maybe Harsha and me if we can find an apmt to live out here in the future. All the red brick buildings look gorgeous. Live in SFO and interact with another culture … Sounds good, no ? This is the Wok Shop, a 40 year old family run imports store. They have all kinds of cookware. And the accessories. The people have always been nice to me – letting me eavesdrop on their conversations while I linger around and answer my inane questions. “Why are all woks carbon steel?”. They burst out laughing. “No, they are not. This is teflon. This is cast iron. This is steel. We have all kinds for all needs.” Fair enough. He goes on to educate me on how to choose one. And tells me some cool stories. Let me share what I learnt. 1. The term “Wok Hay” means the prized elusive seared taste that comes only from stir-frying in a wok. There are stories about restaurant talk in China town SFO where the customers walk up to the chef and ask for the ‘best wok hay’ he can make for the day. Wok hay lingers only for the first few minutes and needs to be savoured immediately. 2. Pow – the verb for tossing food. 3. Think high heat and short cooking time. 4. Hot wok – cold oil principle : If oil is added to a wok that is not heated, food with stick. The wok must be hot to its smoking point. Follow the cues of smell, taste, touch and hearing. 5. 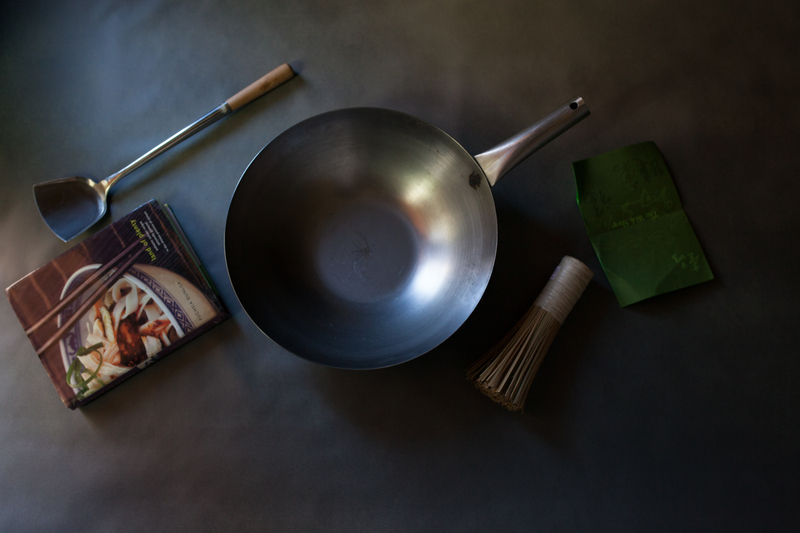 A wok can be used for steaming, frying, braising, boiling, poaching and smoking. But learn the proper technique. 3. Dear cast iron skillet, you are not perfect. Some recipes should not have you chase the ingredients and drag them around. Some ingredients need to be cooked on high heat and flipped. In a skillet, everything is spread out. A spatula can only do so much for moving the ingredients. Woks shape makes stirring easier. More oil is necessary to coat a skillet than the bottom of a wok. No spilling – if that can be counted an advantage. 4. Materials available : Chinese cast iron, enamel lined Chinese cast iron, American cast iron, carbon steel, stainless steel with aluminium core, anodized aluminium, … I picked the carbon steel. 4. Flat bottomed woks do better on electric stove. The rounded woks do great with open flame stoves. There is carbon steel and cast iron woks. The thickness of the wok is what makes it special. The storekeeper boasted about how the thin woks are mastered by the Chinese. And the American and French woks are too fat in comparison to pow. 5. A wok is humble. Price wise. There is no reason to spend a fortune on woks. Or buy the non sticks coated with nasty chemicals. 5. Seasoning the wok : Wash the wok with soapy water to remove the factory grease. Dry it. Heat some oil and fry some chopped chives in it. It can be any vegetable with high sulphur content – most of onion family fits the bill. After this, the wok acquires a beautiful patina. Without this step, food may taste metallic. 6. First time cooking : Deep frying is good for a new wok. Make bacon / fry potato skins. Avoid cooking tomatoes or using vinegar till the seasoning is set. 7. Washing the wok : Place the wok under running water and use the bamboo brush to scrub any particles stuck to the surface. Once done, place it back on the stove to let the water dry. 8. Hard work shows ! The really non stick deep dark woks are so because of years of cooking. The day ended with us walking home with a plastic bag containing a wok, a bamboo brush and a steel spatula. And a pamphlet with instructions on how to season it and wash it. We are excited to do something with it all. Master of stir-fry – is a real title. I am hoping to confer it on my husband one day soon. I bought us a book to help us out. Indian and Chinese traditional food has a lot of dishes that we can try to learn. I used to think India has the most diverse food choices. That was until I started travelling. Last week, I stumbled upon a 800 page Chinese cookbook on how to cook mushrooms. 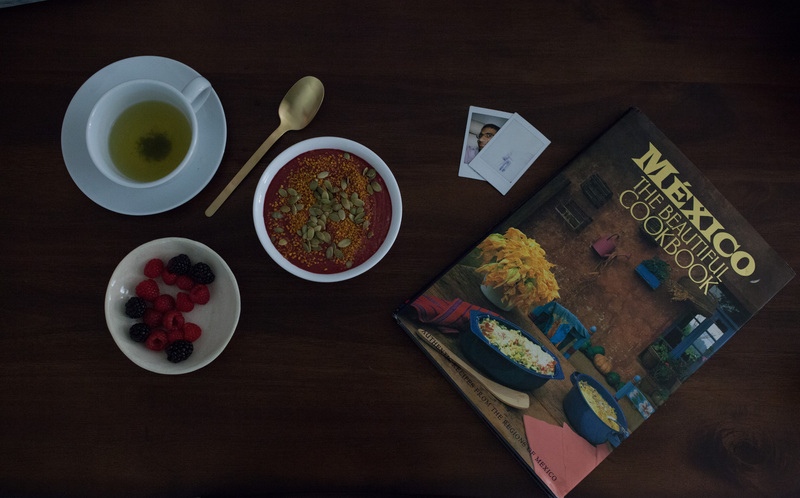 Turkish-Persian food is quite diverse. So is French-Italian cusine. The more I learn about a culture, more my myths seem to shatter. But cheers to that thought. Does brewing tea need a technique? Absolutely ! The tea masters have figured out the temperature, leaf to water ratios, brewing containers, swirling mechanisms and serving rituals the heighten the pleasure of tea drinking. In Japan, during the 15th century, tea ceremonies evolved as a spiritual practice. Tea began to reach all ‘classes’ and was extremely popular. They paid attention to every nuance of tea making and enjoyed the ritual. People would invite artists/masters home, prepare tea and have a conversation. While we the mortals don’t participate in tea ceremonies and are too busy being busy, least we can do to perfect our cups is by paying attention to a few things: like steeping time and the temperature of the water. So here we go. Quality: First things first. Same rules as with any other food. Pick the best quality you can afford. And organic for good health and for the sake of the environment. And fair trade if you care for how your money gets distributed. Your dollar is your vote. Between Asian stores, ebay and amazon, i found sources that i am quite happy with. Single Estate Teas: Tea bag producers try to keep the taste of their product consistent year in and out, to cater to the markets by mixing teas from multiple estates and by aiming for the same consistency. But the tea lovers appreciate the subtle nuances and look for pure blends that capture the essence of teas of the province in which they are grown. Storage: We protect our investments. And never let food go waste. Airtight and opaque containers places far from heat sources, sunlight and moisture is the way to go. Water: Start with fresh cold/room temperature water. Spring or filtered water recommended. Hard water can disrupt the flavour of the tea. Amount of tea: I see various recommendations like one tablespoon per 8 oz of water, in most recipes. Loose leaves are hard to measure like that. Finer teas like Yerba Mate require much lesser amount. The experts correlate it to the surface area of the tea leaf and the size of the pot in which they are allowed to soak in. Trial and error maybe? Experiment to find the right amount. I used to drink Starbucks chai, before i discovered tea. It took me some time to get used to not having all the sugar and creamy texture of tea. Now, my taste buds really appreciate the subtle taste of tea without any add-ons. Temperature of water: Tannins are chemical components in the tea (and wine) are responsible for how it tastes. The higher the temperature, the more that get released. The delicate leaves like the green ( 180F ) and white teas ( 175F ) require lower temperatures than their more processed counterparts. Black ( 205F ), Oolong ( 200F ) and Pu-erh( 195F ) require boiling water to best extract the flavours. Number of infusions: You know what they say: The first infusion is to wash the dirt off the tea. The second is to really taste the tea. The third is light, but really contains the soul of the tea. True story. Infusions work for larger leaves than the finer ones. Steeping time can be longer for the later infusions. Type of tea pot: Yixing teapots are crafted from special Yixing clay, also called “Purple Sand”, which contain micro air holes in the pot to keep the tea hot, longer. Cast iron pots are popular for their ability to keep the tea hot for long. Oh well, … the best pot is the one you got. I like cast iron for its beauty and longevity. Don’t want breakable pots that i have to keep replacing over my lifetime. A tea ball is fine too, but i like to let my tea leaves breathe and allow some movement. Now to the universal vague recipe. Preparing fine tea is very simple. But it does require some mindfulness and appreciation for what you are doing. Step 2: Add the recommended amount of tea leaves per cup. Step 3: For black, yerba mate and oolong teas, bring fresh cold water to a roaring boil and pour it over the tea leaves. For white and green teas, use water that has just started to steam slightly. Or the water that has boiled and is starting to loose its energy. Step 4: Follow the brewing time. Sit down and take deep breaths. Step 5: Separate the leaves from the tea and serve. Save the tea leaves for the next infusion or the compost. He always has a flask of tea in his pocket. No matter how hot it is, he has a big overcoat with a pocket big enough for his tea, and he quietly sips it. At a certain point, I thought, There must be something better than tea in there. I asked him, ‘You’ve not got vodka in there, have you?’ He said no, just tea.” – Source. Some biology. All tea comes from a plant species – Camellia Sinensis. The tea plant is a sub-tropical plant that grows best in acidic soil in a warm and humid environment. The best tea grows in high mountains, in areas with large temperature difference between day and night, and with predominantly cloudy skies. The kind of tea depends on where its grown, when its picked, how its dried and the oxidation it undergoes. Food Science and history is a fascinating subject for me. I always wonder how our ancestors discovered things and how food evolved over time. I have been reading books on Food History, Zen, Tea, etc. Here is a summary of what i have learnt and some interesting stories. Theory of discovery of tea: water bore many harmful microbes and was boiled before drinking for safety. While boiling water in the garden, a leaf from an overhanging wild tea tree drifted into his pot—inadvertently brewing the first pot of tea. Gautama Buddha is said to have discovered tea when a falling tea leaf happened to land in his cup one day as he sat meditating in a garden. The monks found that tea enhanced their meditations. And over time, small tea plantations sprouted up in secluded monasteries. However, due to the isolation of monasteries, tea did not explode into the mainstream until the thirteenth century. Tea preparation and service became elevated to an art, an extension of the Zen philosophy’s purity of form. The Japanese tea ceremony or chanoyu (literally, “the hot water for the tea”) evolved, in which the making and serving of tea is carried out through an elaborate set of procedures, each movement learned over years of study and requiring great skill and poise. China and Japanese teas were originally in the powdered form (matcha). In the 17th century, a Chinese monk traveling in Japan brought the new rolled form of tea that had replaced powdered tea in China. Tea was one of the first commodities to be traded outside China which opened up the ancient trade routes between China and the rest of the world. 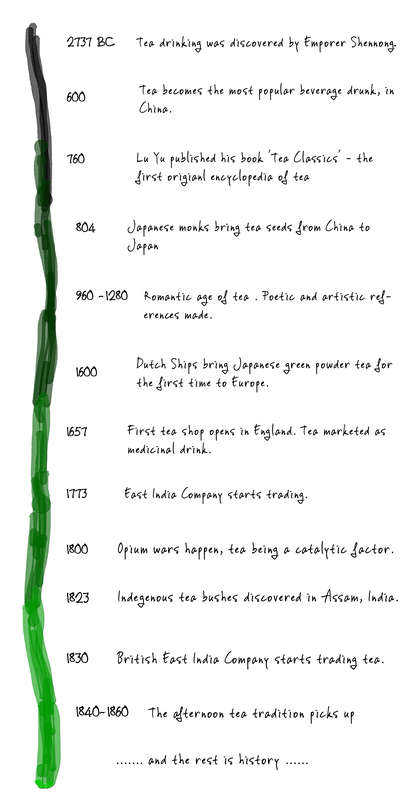 Tea was the primary reason for the Opium Wars which led to modern day Hong Kong. The original tea bags were hand-made, hand-stitched muslin or silk bags. Patents for tea bags exist as early as 1903. English high society didn’t dine until 8:30 or 9 p.m. Anna Maria Russell, the seventh Duchess of Bedford, ordered her maid to bring her what we would call a snack—a small meal of bread, butter, cakes and tarts and a pot of tea—at 4 p.m. daily. It was brought secretly to her sitting room, as incremental eating was unseemly for a royal. She soon asked friends to join her—gingerly, unsure of how her extra meal would be perceived. Her friends were just as enthusiastic. When Anna Maria returned to Mayfair in the fall, she sent invitations for friends to join her for tea and a walk, and the small meal between lunch and dinner became popular. Over time, “afternoon tea” became an elaborate social and gustatory affair with sweet and savory delicacies, special “tea cakes,” and even tea gowns to bridge the fashion between casual afternoon and formal evening dress. As tea was expensive, it was kept in a locked chest, and the lady of the house kept the key with her. Iced tea originated in 1904 at the World’s Fair in St. Louis. A tea merchant and plantation owner from abroad had intended to provide visitors with free hot tea samples. Due to the unusually hot weather, it was not a big hit.To promote sales, he asked a nearby ice cream vendor for some ice. The American iced tea tradition was born when he dumped the ice into the hot brewed tea. Disclaimer: Not a historian. Just a tea lover reporting some interesting facts read. Please feel free to correct me if you think something is incorrect. To enjoy tea, all you need is hot tea. But, but, i do have a few accessories in crime that enhance the experience. Thanksgiving shopping is upon us. And gift giving is a very serious business from what i have observed. I have a few recommendations. 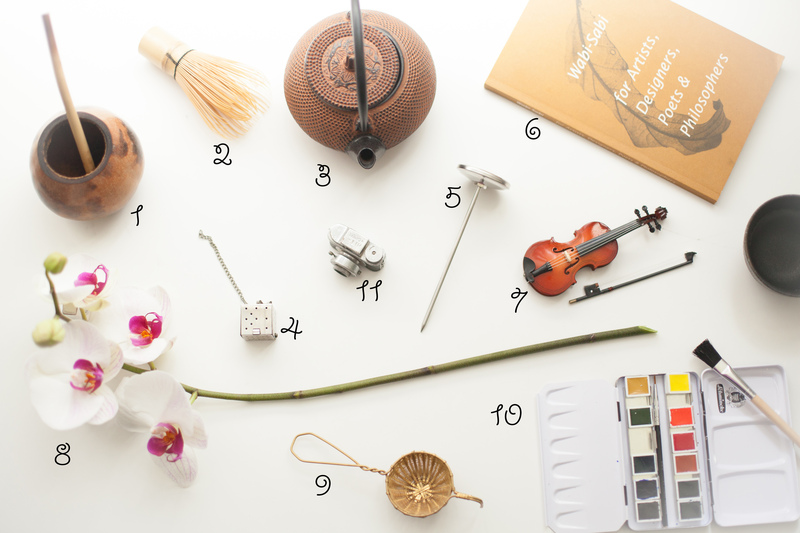 Tea and accessories make a great gift. Its better than things like clothes or other objects that may never get used or die early deaths. For someone trying to drink less coffee and get healthier, tea and tea accessories may help appreciate the switch better. Ofcourse, you dont need any of these to really enjoy a cup of tea. Thats the magic of tea. 1. Gourd: Yerba Mate gourds are traditional sip-on containers used by South American tea drinkers. They are hand-crafted hollow calabash shells repurposed. Very quirky and all natural. The straw that comes with it is perforated and acts as a natural stainer. These are great to have in an office. They are very low maintenance. You are not supposed to wash with soap and let the tea season the container over time. I have one on my desk at work. And its always been a conversation starter. 2. Whisker: Powdered teas like Matcha need to be whisked into submission before drinking. This is a great present for whose who enjoy making tea as much as drinking it. 3. Cast Iron Tea Pot: This is a heirloom piece for any tea lover. Cast iron retains heat for a long time and keeps the tea prim and proper. The tea connoisseurs argue about how the pot used to make tea affects the final product. And this pot definitely is very well rated. You can find these in most Asian stores and eBay. Or in tea stores for ridiculous prices. 4. Tea ball: If you like steeping your tea multiple times, this is a good accessory to make your tea. Also, can be dropped into any coffee mug making instant tea without need for pots and stainers. 5. Thermometer: Herbal tea requires 200 degrees, green tea tastes best at 175 degrees. Black tea can handle much higher temperatures. The temperatures can be assessed by paying attention to the tea making process. Boiling water, add black tea. Green tea, use boiling water, but let it cool down just a little but not enough to loose all the vapors. But if the intended person loves cooking, having a thermo will make a versatile cooking tool that can be used when cooking other foods like meat, poultry, etc. 6. 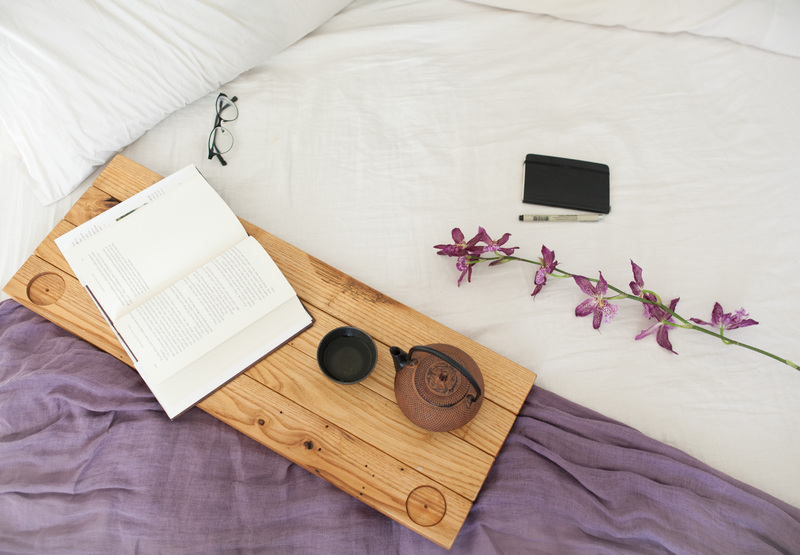 A good book: The perfect accessory that pairs well with tea, is a great book. Bonus points if its a discourse on seeing beauty in imperfection and the rustic – Wabi Sabi. Extra points for Eastern Philosophy. 7. Great Music: Sigur Rós is my current favourite. The minimalism and the depth is just beautiful. 9. Stainer: This has to be one of the greatest accessory ever made. For the ones who don’t care about tea pots, gourds and the tea rituals … for the minimalists, all you need is a stainer. The stainless steel ones are easy to clean, don’t discolor if left over time, and are very low maintenance. 10. Pursuit of a great passion: Time to sound very cheesy. Drinking tea while working on something precious is totally the way to do it. Many of us are not born liking the taste of tea that is served without sugar and milk. It is an acquired taste. For me, I now enjoy my cuppa without any adulteration. But i do add a few ingredients from time to time to make my cup more flavourful. 1. Peppercorns: Pepper, good for health. Adding a few peppercorns is a good way to get some pepper flavour into our diets. It pairs well with green and black teas. I let a few sit in my tea pot all day. 2. Honey: Please do not use the processed honey sold in the supermarkets in those bear containers. Manuka honey/ raw honey is great to add to morning teas as a sweetener. 3. Lemon/Orange slices: Kitchen staples like this go a long way in enhancing the flavour. A great way to get a shot of vitamin C in the morning. Pairs well with white/green/herbal teas. 4. Liquorice : This is a wonderful medicinal sweetener that has been used in teas for centuries. Its used a lot as a medicine for coughs and congestion. 5. Ginger: Let a slice of ginger soak in your tea all day long. 6. Goji Berries: Popular in China as add-ons to a brew. Now popular in the smoothie drinking population and the fitness community. High on nutritional content and touted as anti aging. These are my tea’s best friend. 7. Sour Cherries: Popular in Eastern Europe and Russia for adding flavour to tea, these cherries are a great way to inculcate some sour elements into your food. Most diets are low in this element. And it is recommended by ancient Indian and Chinese medicinal wisdom to have a balance of the five flavours: sweet, sour, salty, astringent, pungent, bitter. 8. Cinnamon: Herbal and floral teas with a stick of cinnamon is divine on a cold day. Try it before you judge it. 9. Bee Pollen: These granules are high energy sources. Are sour + tangy. Great addition to afternoon pick me up teas. 10. 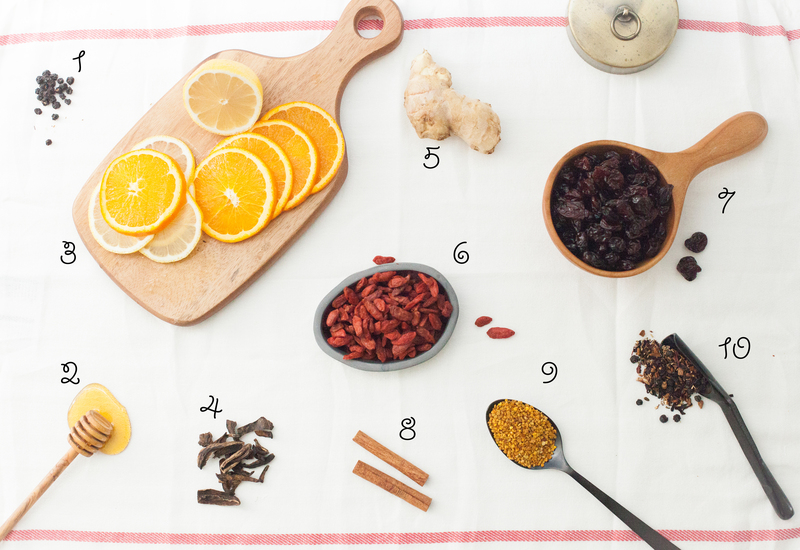 Dried Spring fruit: Easiest way to add flavour to any tea is by adding dried fruit/flowers. Davidson’s makes a great blend that i add to mine from time to time. Any tea lovers out there: How do you like your tea ?